Golf is a game steeped in tradition yet constantly evolving. For a Southern California golf course to stand the test of time, it has to be committed to improving over the years, and the Rancho Bernardo Golf Resort in San Diego, California, has done exactly that. At the Rancho Bernardo Golf Course, you’ll find yourself having to think your way through some holes as water features and bunkers come into play. However, you can rest assured that this traditional layout will setup right for your game. The 18-hole Rancho Bernardo Golf Course opened for play in 1962, and the William Francis Bell layout would host the PGA Tour’s San Diego Open in 1964. For trivia buffs, Art Wall took home $4,300 as the champion at 6-under par (only nine other players broke par on what played as a par-70 course). Over 40,000 square-feet of Flexible Meeting Space. We can accommodate an intimate gathering for 16 or a grand event for 1,000 guests. For water conservation, on-site weather station measures daily ET (evapotranspiration); water system suspends operations during high winds. Golf Course Superintendent is the Co-Chair for the San Diego Golf Industry Water Conservation Task Force. Greens: 100% potable water; Fairways and Tees: 100% salty well water and run-off. Complementing the Rancho Bernardo Inn Golf Course is the The Bar. The Bar offers shuffleboard and five plasma TVs. It’s perfect for comfortable faire and an after-round craft brew. For all dining spaces, visit the Rancho Bernardo Inn website or call (888) 801.3797 for more information. 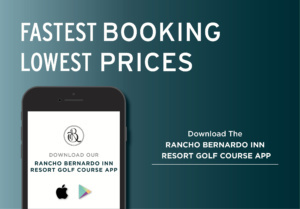 Rancho Bernado Inn is the perfect choice for hosting a golf tournament, with its signature service combined with excellent course conditions and pricing that provides one of the most competitive values in the Southern California golf market. In addition to great golf, Rancho Bernardo Inn offers a beautiful banquet facility and several dining options for your tournament guests. Contact our Tournament Sales Director for more information on how to host your next tournament or outing. The Rancho Bernardo Inn Men’s Golf Club invites all men 18 years and older to explore the golf amenities at Rancho Bernardo Inn. The Golf Resort has a full and challenging 18 hole championship course with four Southern California Golf Association (SCGA) Ratings. RBIMGC offers its members many opportunities for golf and good fellowship. Play in different tournament formats each week and compete for prizes. There are currently two membership types: FULL MEMBER and ASSOCIATE MEMBER, which differ only in tournament privileges. 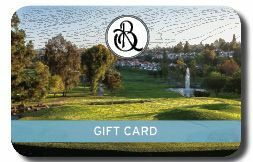 For additional information regarding the Rancho Bernardo Inn Men’s Golf Club, please visit www.RBIMGC.com or contact Tom Connolly at (858) 735-3902 or email him at tconnol1@twc.com. The Rancho Bernardo Inn Women’s Golf Club, now in its 55th year, invites amateur women golfers age 18 and older to enjoy weekly golf play days at Rancho Bernardo Inn. The golf resort offers players a scenic, well maintained and challenging 18-hole championship course. 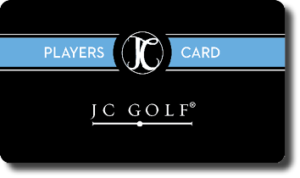 RBIWGC members with a JC Players Card or Rancho Bernardo Inn Resort Club membership receive a discounted rate to play golf in weekly competitions and special tournaments. After golf, players enjoy discussing the round over lunch in the resort bar, where members are offered special food and drink prices. For more information about the Rancho Bernardo Inn Women’s Golf Club, please visit www.rbiwgc.org, or email Diane Borden, Club Secretary, at drdborden@gmail.com. For club rentals, contact the pro shop at (858) 649-1975. For Stay & Play Package, visit the Rancho Bernardo Inn. For monthly JC Golf promotions and events visit Specials & Events. A peaceful valley backdrop complete with tree-lined fairways is home to the AAA Four Diamond Rancho Bernardo Inn and the 18-hole championship Resort Course. The traditional layout originally opened in 1962 and recently underwent renovation to ensure that it will continue to present a modern challenge for today’s golfer. As one of the only golf courses in San Diego with the unique distinction of having hosted both PGA and LPGA events, the renowned Resort Course is sought out by golfers in search of a memorable and enjoyable round with gracious, genuine service.